In the final instalment of our Easter Decorating posts, we show you how to create a fun table top display with a few twigs and some paper decorations. 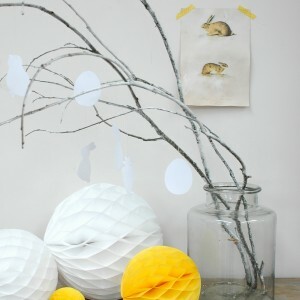 It’s super easy to create a fun and stylish display for Easter in your entrance hall or living area. 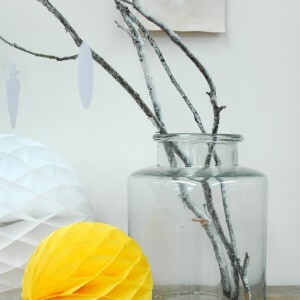 All you need is a few twigs, some paper and card and a few honeycomb paper decorations. This is a fun project to do with children too – get them involved in gathering the twigs, either from the garden or during a outdoor walk. We sprayed ours with some white spray paint too. Then, either draw your own Easter shapes or download a template from the internet. We used this one. Then carefully cut out the shapes, and use some thread to string them up ready to hang from your branches. Get the kids involved in gathering twigs and creating a vintage style print. We then made our own vintage style Easter print. 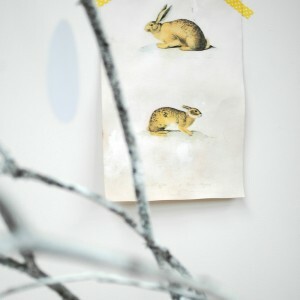 Print off some rabbit or egg images from Vintage Printable – then place the paper in a tray of tea to stain it, giving it a vintage look. Finally we placed the twigs in one of our glass vases and then placed a selection of paper decorations along side it to add colour and texture. We then simply hung our Easter shapes upon the branches, finishing off the fun display. The kids will love it, but it also looks stylish. 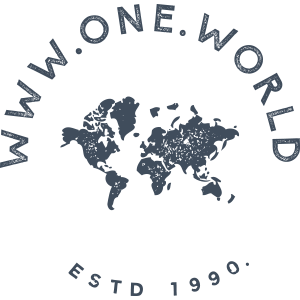 Happy Easter one and all – and don’t forget we have a special Easter discount for our retail customers – 15% off everything until 29th March, just use the code EASTER15 at the checkout. Shop now.